V-Day is not my favorite by any means. Yes, there is lots of candy involved, but I prefer holidays that are all about eating real food and just hanging out. Also, I prefer holidays that we get off of school for. Today, the weather at Hope is completely awful. It is nasty raining-hailing outside and muddy. The inside of me feels pretty similar. Being sick is no fun! 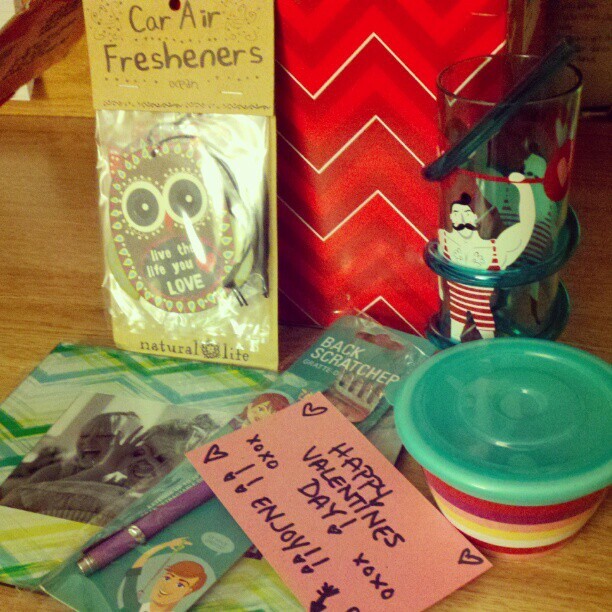 But, there is a very bright side to this V-Day for me : ). I got a care package from my sister! YAY! It included some pretty awesome stuff along with some candy. What a great pick me up for a not so good day! 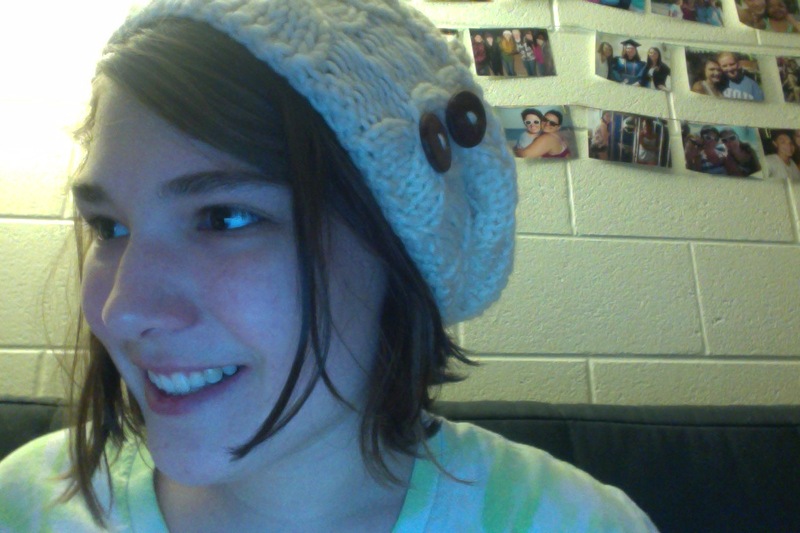 The other awesome thing in my care package is a hat that Lindsey made for me. I have been wearing it all day and have gotten TONS of complements! Love it! It is much warmer than a lot of my beanies, so I appreciate the new addition to my hat stash. Another good point to my day was that I made it to all of my required functions, including my 2 hour, morning painting class (that my professor didn’t even show up to). That was my goal for the day, and I am pleased to say that I will have time for a nap (since my body is extremely exhausted). I hope your V-Day was the pick me up you needed in the middle of winter like mine was!